Three 1973 and nine 1977 photos of National Coal Board steam in action at Bickershaw colliery near Leigh, Lancashire. Diesels arrived at Bickershaw in 1979, but steam still worked occasionally until 1983. The colliery employed about 1000 men at the time of these photos, but closed in 1992. Rodney, Bickershaw colliery, 15 June 1973 1. 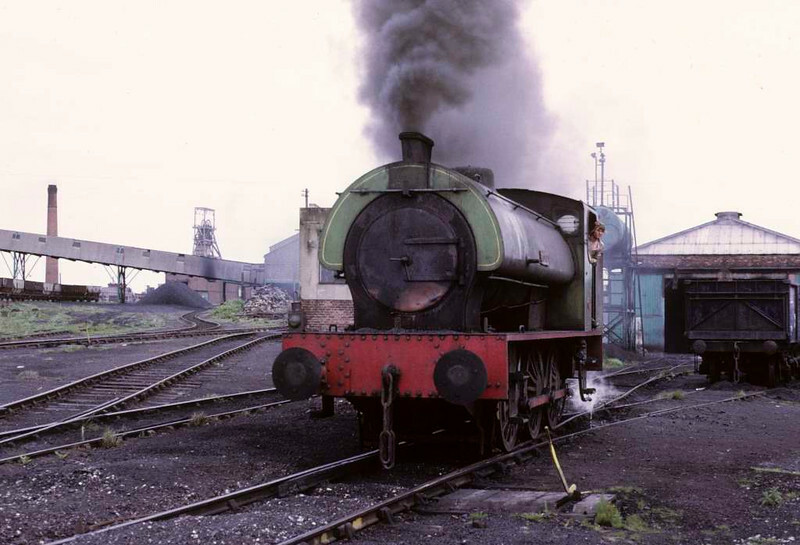 Hunslet 0-6-0ST 3695 / 1950. Photo by Les Tindall.